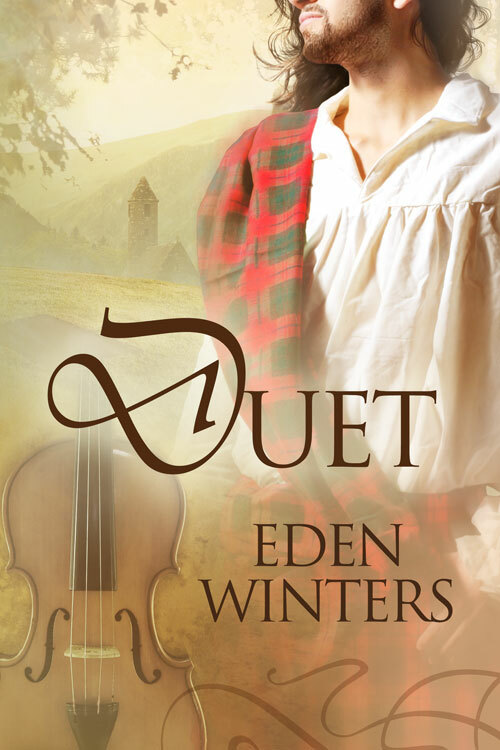 Duet 2nd Edition will be publishing from Dreamspinner Press on February 18. I've learned a lot in the time since its first publication, and hopefully that knowledge shows in this more polished version of the tale, complete with epilogue! A conqueror’s decree can’t separate Aillil Callaghan from his Scottish heritage. He wears his clan’s forbidden plaid with pride, awaiting the day he becomes Laird, restores his family’s name, and fights to free Scotland from English tyranny. An Englishman in his home? Abomination! Yet the tutor his father engaged for Aillil’s younger brothers may have something to teach the Callaghan heir as well. Violinist and scholar Malcolm Byerly fled Kent in fear, seeking nothing more than a quiet post, eager minds to teach, and for no one to learn his secrets. He didn’t count on his charges’ English-hating barbarian of an older brother, or on red-and-green tartan concealing a kindred soul. A shared love of music breaks down the barriers between two worlds. Aillil’s father threatens their love, but a far more dangerous enemy tears them apart. They vanish into legend. Two centuries later, concert violinist Billy Byerly arrives at Castle Callaghan—and feels strangely at home. Legends speak of a Lost Laird who haunts the fortress in wait of his lover’s return. Billy doesn’t believe in legends, ghosts, or love that outlasts life. But the Lost Laird knows his own. Dreamspinner Books Now on Sale!